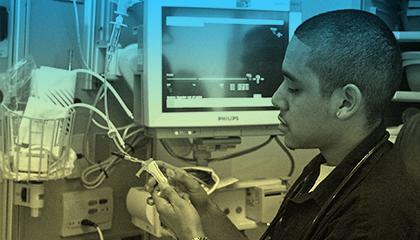 At the UCLA School of Nursing, students keep pace with the changes and challenges of providing healthcare in the 21st Century by fostering an atmosphere of learning that has earned us a national and international reputation for excellence in teaching, research and clinical practice. Nurses are the face of health care. 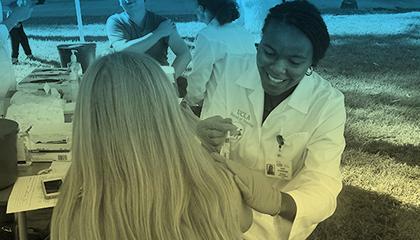 UCLA's School of Nursing is educating the leaders of health care — the exceptional people who will deliver compassionate, competent care. 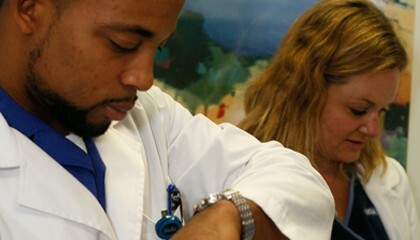 Providing graduate scholarships to UCLA School of Nursing alumni who are returning to advance their education. Supporting annual graduation traditions for School of Nursing students. This may include special student ceremonies, such as the Blue & Gold/Pinning ceremony, and the annual student class gift.